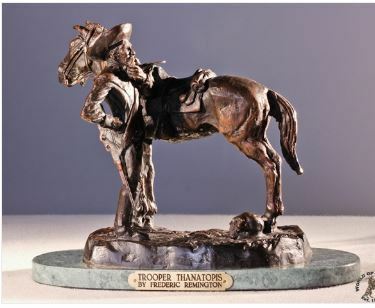 Trooper Thanatopis Inspired by Frederic Remington Pure Bronze Collectible Sculpture Statue Regular Througout the years, Remington has been credited for making this statue (and others he actually never made), but truth be told, Remigton only made 22 statues. He died of apendicitis at a young age and other talented artists continued his work. Artists such as Karl Kauba and Charles Russell, produced similar statues in the Remington style and sculpted beautiful statues of their own which are no less valuable and important. Thus the label "inspired by Remington" was coined. 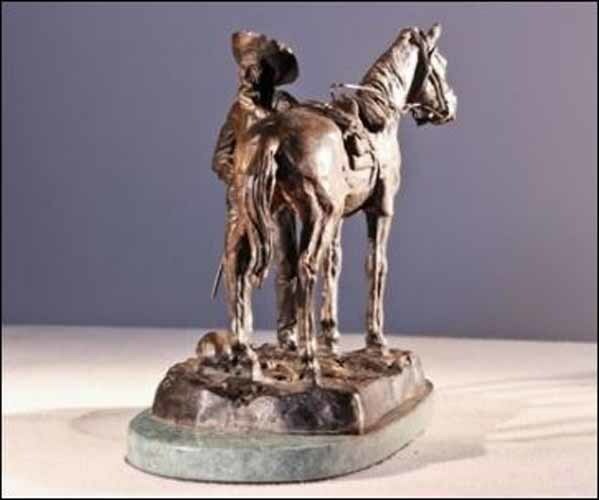 A great statue to start or add to your western bronze collection.This statue is reproduced in solid bronze, cast in a brown patina and then hand-rubbed to bring out detail and highlights. The statue is then mounted on a marble base with an etched brass plate. Size: 16.5"H x 21"L. Questions? Please contact us by phone, text or WhatsApp 12392189268 Shipping policy: Buyers are responsible for keeping their shipping address current on their PayPal and Bonanza accounts. We are not responsible for any problem caused by wrong or undeliverable addresses. Buyers pay the extra shipping costs due to wrong or undeliverable addresses including the carrier's charge for return and our cost to reship the order. We don't ship to APO/FPO addresses or P.O. Boxes. Returns Policy: We want you to be completely satisfied with your purchase. If you find that you need to return an item, please review the complete details of our Return Policy below to determine if any special return conditions apply: Most items may be returned within 30 days after the ship date for a refund except for special made (custom) orders WHICH ARE ONLY RETURNABLE IF ARRIVED DAMAGED. If you would like to replace the item you have returned, please place a new order. Returns are subject to the following guidelines: Customer must inspect all merchandise upon receipt and notify us within 24 hours if anything is missing or damaged. UPS, USPS and FEDEX must also be notified within 24 hours of any shipping damage or no recovery can be made, photos required. Returns accepted within 30 days for most items unless otherwise specified, ONLY if all original packaging is saved and used for re-packing the product including all accessories and documentation that shipped with the product. Returns must be packaged appropriately to avoid damage during transit including all accessories and documentation that shipped with the product and returned to the address shown on packing slip unless otherwise specified. Buyer is responsible for actual original return shipping and associated costs unless item arrived damaged or materially different than what was ordered. All Item(s) must be returned unused and in its original condition. Credit for a return can only take place after a product has arrived in our facility. Upon receipt, a 25% restocking fee will apply to all returned items that were not damaged, or not sent in error. This fee is assessed to help defray the costs associated with receipt, processing, inspection, repackaging, and paperwork processing to provide the credit and reenter into the inventory system. Our approval e-mail must accompany the return in order to assure proper handling and credit. We decline any responsibility for any damage or loss that may occur during the return, so please be sure to insure the items. If product arrives to you with a defect or damage, we will replace the item or refund your entire payment less the original shipping and handling fee listed or the If you refuse your delivery without inspection, miss your delivery appointment(s) or return a non-defective or undamaged product, you will incur the ACTUAL shipping charges both ways plus a 25% restocking fee. Disclaimer: Our digital images are as accurate as possible. However, different monitors different lighting conditions may cause colors to vary somewhat. 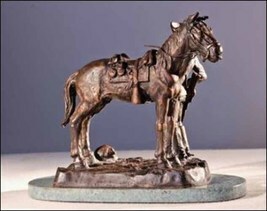 On dark bronzes, photos may have been lightened to show better details. Bronze statues are handcrafted and hand finished. 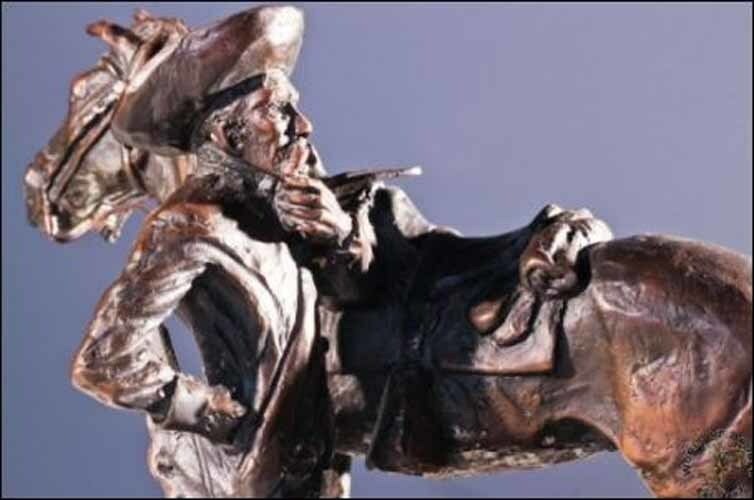 Color can vary and slight imperfections are normal as the hand finishing process adds character and authenticity to those items, no two statues are exactly alike and therefore each is one-of-a-kind. Marble base color may differ from photo. All dimensions are approximate. International buyers please note: You may enjoy reduced international shipping rates through our partners MyUS and Borderlinx. 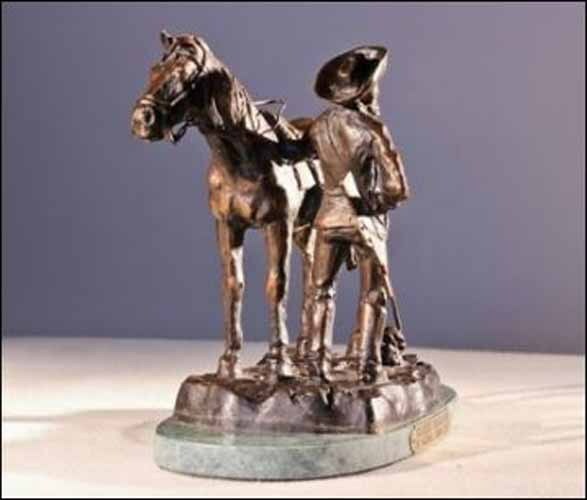 MyUS and Borderlinx allow overseas customers the ability to forward any order from American Bronzes to their International shipping address. 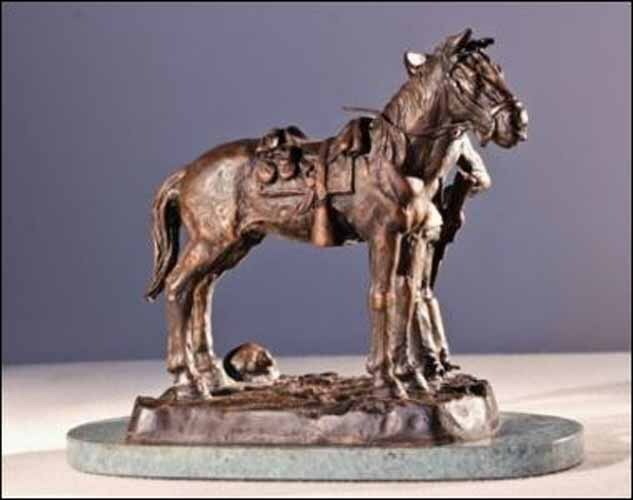 If you live overseas and are interested in receiving American Bronzes products, please visit our partners MyUS or Borderlinx to learn more about their freight forwarding service to international addresses. American Bronzes is not responsible for any charges applied by any freight forwarding companies. Sign-up for MyUS and Borderlinx . We accept PayPal and all major credit cards in American dollars only. You may be responsible for all duties, tax, brokerage fees as required by your country's laws. These charges are not included in the item price and shipping charges. Please check with your country customs office to determine what these additional costs will be prior to ordering or bidding. These charges are normally collected by the delivering freight (shipping) company or when you pick the item up; do not confuse them for additional shipping charges.shipping fee we paid for an item offered with free shipping. Please contact us for a Return Material Authorization (RMA) number prior to any return. Returns will not be accepted without prior authorization. Return Shipping Costs: If you refuse your delivery without inspection, miss your delivery appointment(s) or return a non-defective or undamaged product, you will incur the ACTUAL shipping charges both ways plus a 25% restocking fee.